You can add on as needed. Any minutes that are not used during the month will rollover and will not expire as long as the number remains active. Keep your number and stay connected with your loved ones overseas. Switching to easyGO is just that easy. Welcome to easyGO! Ready to join? 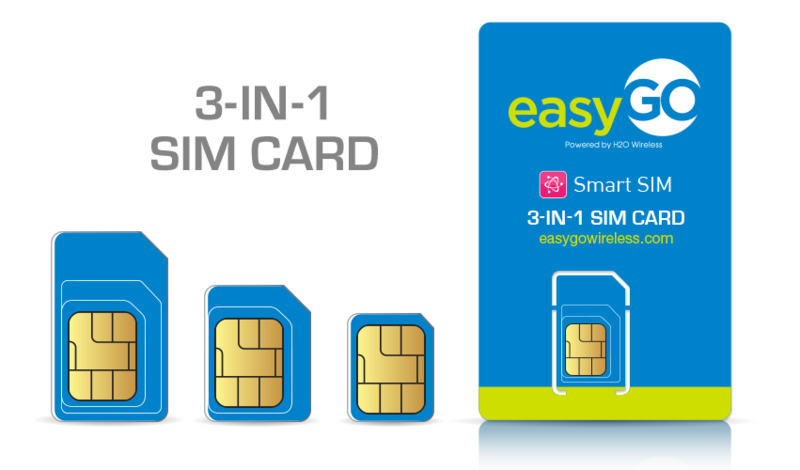 You'll need an easyGO SIM Card, which contains a new SIM card and an activation code. We know how important using apps, the internet, and receiving MMS is to you! In order to do it all, configure your phone here and now! You can add minutes to your easyGO account anytime by purchasing airtime via phone/online or setup Auto-Recharge to always be in touch hassle-free! Why limit your International Calling? You can add your international balance anytime with an ILD PIN Card or your Debit / Credit Card. You can add more data as needed. Any unused data during the month will ROLLOVER and will NOT expire as long as the number remains active. It's simple. Get it for free. Activate easily and enjoy. All you need to do is grab one of our affordable plans and tell us where you would like your FREE GSM SIM sent. 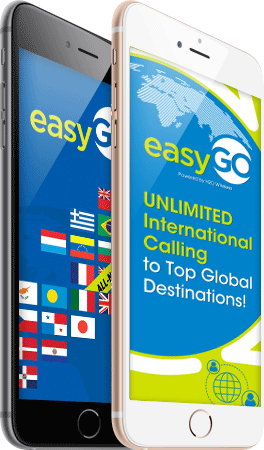 Once it's set up, you’ll be ready to receive the Unlimited International Features, Talk, Text, MMS, & Data that easyGO offers. Keep your number and stay connected with your loved ones overseas. Why easygo?No contracts to keep you tied down. It's your world, connect to others how you see fit. Affordable PlansSuit your needs and wallet with affordable Unlimited Plans to keep you connected and PayGO Plans for your short-term commitments. Global Talk & TextWith Unlimited International Talk & Text to 70+ Countries, your possibilities are endless. Network CoverageWe are everywhere. easyGO offers Worldwide 4G LTE Network Coverage. Join us and see for yourself!